Kevin Mo is currently a junior at Oakton High School in Vienna, Virginia. He is currently under the tutelage of Dr. Albert Hunt and has studied the clarinet for eight years. Kevin has performed in numerous concert halls throughout the nation, most notably the Clowes Memorial Hall in Indianapolis, IN, the Clarence Smith Performing Arts Center in College Park, MD, Armstrong Hall in Winchester, VA, and the Rachel M. Schlesinger Concert Hall in Alexandria, VA. Kevin has also served top positions in a number of ensembles. He was selected as the principal clarinetist of the American Youth Philharmonic Orchestra under Maestro Carl Bianchi and the Capital Symphony Youth Orchestra under Dr. Cheri Collins, and served as the principal second clarinetist in the Virginia All-State Band and Orchestra and first clarinetist in the Virginia District Wind Ensemble. 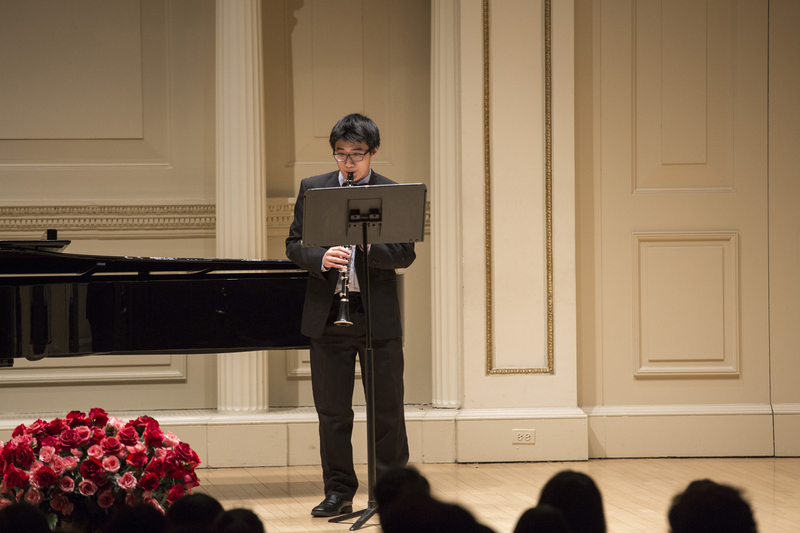 He most recently has won first prize in the American Protege International Competition for Woodwind and Brass. Kevin is also passionate about musical outreach, and has regularly organized and performed music concerts at community centers and senior centers throughout the Washington DC metropolitan region.